The International Committee for Radionuclide Metrology (ICRM 2019) explicitly aims at being an international forum for the dissemination of information on techniques, applications and data in the field of radionuclide metrology. ICRM, founded at Paris in 1974, has currently 47 institutions represented by delegates. Plenary meetings of the ICRM are open to all specialists in the radionuclide metrology field. They held biennially and have developed into a successful instrument of communication among researchers and metrologists, truly encouraging international co-operation. TECNASA, who distribute Kromek products in Spain will be exhibiting at this event, presenting our range of gamma and neutron detectors. 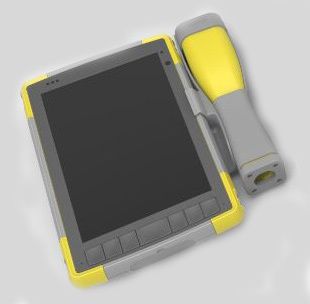 Be one of the first to see the new model Raymon10 rugged handheld gamma isotope detector with its much larger screen and easier to use application software. The 22nd International Conference on Radionuclide Metrology and its Applications (ICRM2019), hosted by the University of Salamanca on 27-31 May 2019, is aimed like the previous events to provide an opportunity for the exchange of information on the development of techniques and applications of radionuclide metrology and to encourage international co-operation in this field. It will include oral and poster presentations and business meetings of the ICRM working groups. Each group is guided by a coordinator who acts as a centre for ideas and communications and may organise conferences and workshops.